River cruisers meander down the great rivers of Europe, stopping in small towns and great cities where you can enjoy complimentary pre-arranged tours, or just take off on your own to explore at your own pace. River cruisers generally hold between 120 to 200 guests, providing a more intimate experience, and they usually dock in the center of historic, walkable river-towns. And, unlike most ocean cruises, river cruises include daily excursions, WiFi and fine wines with lunch and dinner. No need to get formal either, the dress on a river cruise is country club casual, day and night. There are always specials on river cruising, but it is best to book months ahead to get the cabin and itinerary you want. There are several river cruise companies sailing the rivers of Europe and beyond... with more selling to the American market almost every day! How can you be sure to choose the right river cruise for your particular style and budget? That is where our years of experience and training comes in. We have sailed on, taken training in or inspected the ships and companies we sell. Each river cruise company has its own style, demographic and price point. We will be happy to help you select the right company and the right cruise for You! And, when you book a river cruise, you may also want to plan a pre and post cruise itinerary. Euro Escapes will work with you throughout the planning process and will assist you in obtaining airline tickets, rail tickets, auto rentals, transfers, and tours. Whatever your needs, we offer our expert advice and we will provide as much…or as little service as you desire. Scenic Cruises - Scenic offers 5-star, luxury all-inclusive cruises with added amenities. Whether you are an active cruiser or one seeking relaxation, Scenic will cater to your special needs. AMA Waterways – A premier river cruise experience, with large staterooms and superb service. Bikes are available on all ships. AvalonWaterways – Offering their popular SuiteShips® with Panorama suites and large bathrooms. 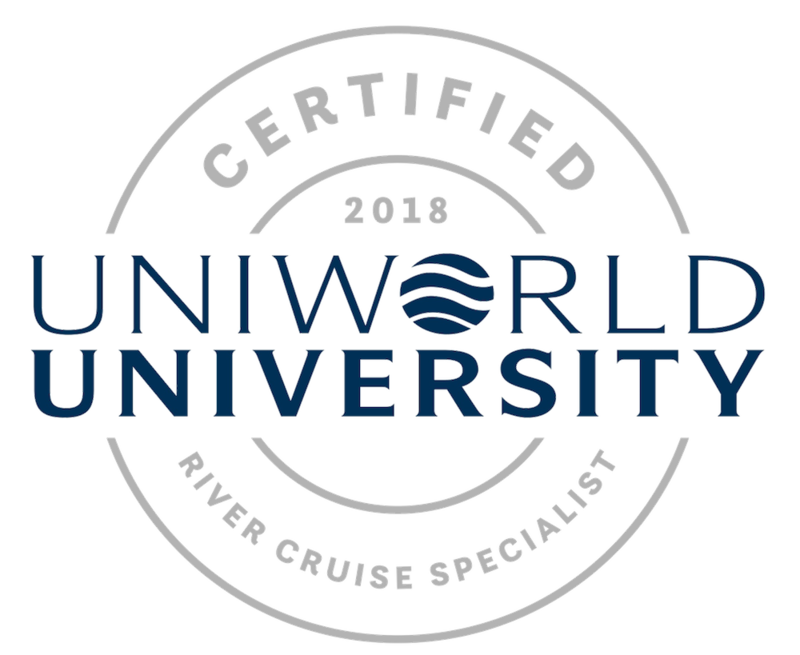 Uniworld – A luxury cruise line with excellent service, elegant staterooms and suites. All- inclusive beverages, transfers and gratuities. Viking River Cruises – Experience the new Viking Longboats to travel the rivers of Europe in style.